Charge Shot!!! 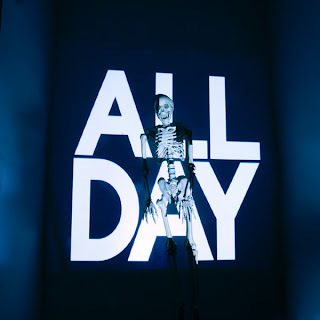 : Music Review: Girl Talk - "All Day"
Music Review: Girl Talk - "All Day"
Anyone who's listened to me complain for long enough can tell you I hate mashups. You hear a brilliant fusion of the street poetry of Shawn Carter and the ephemeral orchestration of the Verve, and I hear a way for suburban white kids to ignore all that boring rapping until the chorus they all know kicks in. Being a suburban white kid, I can of course sympathize, and much of my disdain arises from good ol' self-hatred. Still, I see the mash-up as a supposedly clever melding of two genres that usually misses the appeal of both. Hip-hop is about rhythm and flow, its beats serving to complement, not overshadow, the talents of its lyricists. But slather a thick layer of guitar rock on top, and you end up diminishing the pleasures of the rock and rap bits. The rock instrumentation, without the variety of the sung verses, ends up sounding repetitive; and the raps, robbed of their original context, lose much of their percussive urgency. It is, then, with much trepidation that I approach the evaluation of a Girl Talk record. Greg Gillis is so gifted, his combinations so frequently inspired that it's hard to not forget about your anti-mash-up prejudices and just dance yrself clean. But I must do my sacred duty, and critique. After all, it's what I'm not paid for. So does Girl Talk's latest, released out of the wild blue yonder on Monday (and for free, no less), rise above the mashed-up gunk? Short answer: no. Long answer: no, but you'd have to be that critic from Ratatouille (before he ate the ratatouille) to hate Girl Talk's All Day. Girl Talk is the stage name of Pittsburgh-by-way-of-Cleveland DJ Greg Gillis, who started the project while at Case Western Reserve for biomedical engineering. And if Gillis was half as good at his major as he is at playing songs over other songs, he could have a future in, you know, biomedically engineering stuff (I don't do science). I don't mean to sound snarky; Gillis really is preternaturally talented at finding new habitats for sounds. Most mash-ups work only superficially, succeeding more from a novelty standpoint than anything else. Take the torrent of mashed-up versions of Jay-Z's The Black Album that followed in the wake of The Grey Album: The Double Black Album (with Metallica), The Black and Blue Album (with Weezer), The Slack Album (yes, with Pavement). All were good for little more than freaking out unsuspecting guests at a house party. The original (well, the original remix album), though, was nothing short of masterful. On Grey, DJ Danger Mouse brought out the old Jig rhythm latent in the Beatles' White Album. It's not an unqualified success (chopping "Julia" into skittering Oriental trip-hop for "Dirt on Your Shoulder" was a terrible idea), but it certainly rose above the level of kitsch. All Day is definitely more Grey than Slack. Gillis, though seemingly an aficionado of just about every genre of popular music, primarily traffics in classic rock samples, tweaked and drum-augmented so they're safe for modern rhymes. And sure, it's a blast to play spot-the-sample with a Girl Talk record ("Is that The Toadies?! "), but Gillis seems more concerned with groove than indulging listeners in a musical version of Where's Waldo?. Anybody can slap the "Get Low" on top of Simon & Garfunkel; Girl Talk is one of the few who can turn "Cecilia" into a genuine banger. This isn't an unheard-of phenomenon. Underground DJs have been making mixes for generations, blending tracks seamlessly into one another to create the ultimate dance mix. But there are a few things that set Gillis apart from the pack. First, the sheer volume of samples he employs is impressive on its own. Blending two songs is fairly simple, especially if they've got similar beats. But combining three, four, five, maybe even six samples at once requires substantially more skill. Not since the heyday of the Dust Brothers have so many samples worked in such perfect harmony. That these are often from wildly disparate genres (and feature similarly divergent rhythms and time signatures) makes Gills' feats of sound all the more astounding. All Day is a step forward for Girl Talk, though, for its restraint more than anything else. Instead of oscillating wildly between samples like a Ritalin-addicted DJ Shadow, Gillis sticks with beats, sometimes fading them into the background for more than a minute before cranking them up to ride into the next "song." Second, Girl Talk is more like a conventional artist than just about any other DJ, the aforementioned Shadow and his family of turntablists notwithstanding. A quick Google search will tell you that there are literally hundreds of databases dedicated to the sharing of unauthorized DJ mixes. But Greg Gillis is an artist, signed to a label, who releases his albums on Amazon and eMusic. He's trying to be taken just as artists who wouldn't touch samples with a ten-foot MPC. And he's succeeding. And lastly, Girl Talk's just better at it. He picks better samples, better raps, and creates more impressive, more expansive works (All Day is over 70 minutes long) than anybody out there today. He doesn't manage to overcome the fundamentally uncomfortable combination of rap and rock all the time, and his choice of vocal samples (he favors Cali Swag District and Soulja Boy over, say, Clipse) leaves something to be desired. But I'm just nitpicking. Anybody who can make Bun B sound like he was meant to spit over "Imagine" deserves his status as the king of the mash-up.